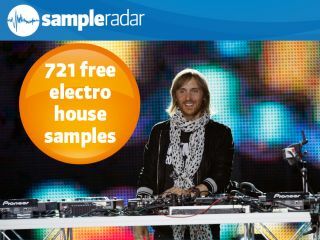 David Guetta: electro house champion. After last week's foray into the world of minimal house, this edition of SampleRadar is tackling its more garish and brasher brother: electro. The samples are supplied into eight folders, with each one labelled according to its contents: Bass loops, Beats, Drum hits, FX, Guitar chunks, Guitar loops, Processed beats and Synth riffs.